The container shipping market is balancing on a knife’s edge with industry profitability in the coming year dependent on carrier ability to maintain the tight capacity management displayed so far in 2017. This was the assessment of Drewry senior manager container research Simon Heaney, who said in a webinar that while the volume and rate environment for carriers had improved, it could still go either way. “A lot will depend on whether the carriers can refrain from undercutting one another and stick to the capacity management they have displayed this year,” he said, adding that the order book unexpectedly sparked back to life with the 20 ships of 22,000 TEU recently ordered by MSC and CMA CGM. This could affect the fragile industry recovery, but Heaney said carriers made investment decisions with a view to their own standing and the potential impact to the wider industry was a secondary consideration, if at all. “As compelling as the individual case may be, no carrier operates in a bubble and they could be some hidden costs to the industry, particularly if the herd mentality kicks in and the others were to follow. But from an industry perspective, there is no good reason to add these ships to already overcrowded waters,” he said. Carriers themselves have mixed feelings about the merits of the mega-ships. APL chief executive Nicolas Sartini, was firmly in the mega-ship camp and defended parent CMA CGM’s decision, and indirectly that of MSC's, to order the 20 vessels of 22,000 TEU. “These ships are not speculation,” he said. “They are being ordered by shipping companies that know their business, that know their networks, that know their needs, and want to follow the growth in the market. What they want is reduced costs, but certainly not offer cheap rates. We know what cheap rates mean. Cheap rates mean Hanjin, and that is not the way we are going forward." Ocean Network Express CEO Jeremy Nixon took the opposing view. While mega-ships may be required on some routes, Nixon said he remained unconvinced at the need for such large vessels and the lower slot cost benefits often given as justification. 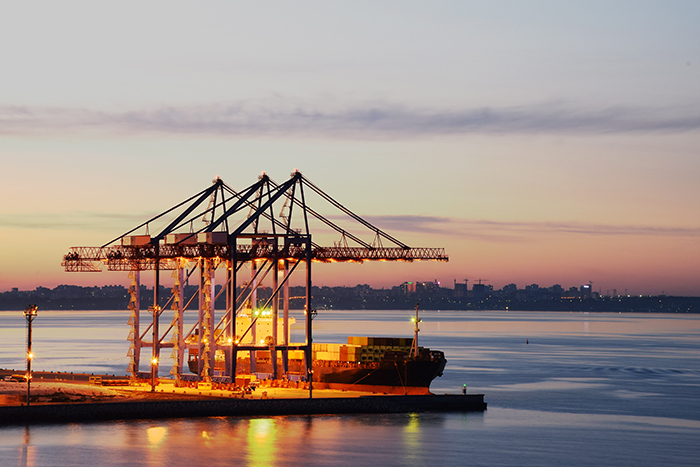 Nevertheless, Drewry remained largely positive on container shipping prospects. The analyst believes industry consolidation will support higher margins and greater profitability as the larger carriers will have stronger negotiating positions with customers, terminals, and vendors. Heaney said that while the industry was still competitive, it was within the key revenue generating trades such as Asia-Europe and the trans-Pacific where much of the industry concentration was happening. “Particularly on Asia-Europe where there are only three main alliances and no independents. This is something that shippers need to be aware of because it is a trend that will not reverse anytime soon,” he said. Drewry director of research products Martin Dixon reviewed the data on spot and contract rates. He said on the Asia-Europe trade, contract rates rose 55 percent in the year to August and all attention was now turning to the annual contract rates that are under way and traditionally run until January. “The spot rates now falling below typical contract rates of around $1,300 per FEU, and much will depend on prevailing spot rates towards the end of the year, which could recover,” he said. Drewry said carriers will end 2017 having recovered almost half of the losses experienced over the past four years, with aggregate freight rates across all trades expected to end the year up 15 percent. “Next year we expect rates will continue to rise, but at a slower pace that we have seen this year with high single digit increases anticipated,” Dixon said. Contact Greg Knowler at greg.knowler@ihsmarkit.com and follow him on Twitter: @greg_knowler. Capacity management has been the top issue for a decade. The industry did it - once, in late 2009 through 2010 and turned a $20. Billion loss in 2009 to an $8. Billion profit in 2010. And never did it again. That they have some form a discipline today is as much a function of Hanjin not being on the scene as any planned control of capacity. And even with what they have done, recent $700. rates from Asia to the US West Coast? Really. With capacity management has to come some discipline in pricing, when will that show up? And the new orders by MSC and CMA, those are 2020 issues, not 2018 - unless you like to anticipate the market.